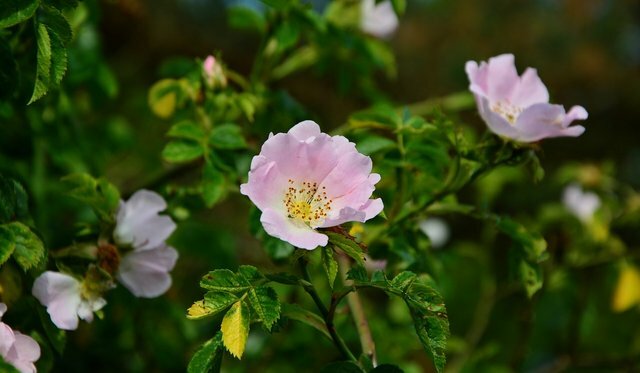 The dog rose is a very common plant found all over the British Isles. The dog rose produces its flowers in may, around the same time as the elderflower. These light pink to purple petals are often picked by foragers because of their light and fragrant taste when made into a jelly. These flowers should not be, however, picked before the flower has been pollinated; otherwise, you will miss out on the dog rose's next crop, the rose hip. In order to make sure that the flower has been pollinated, only pick the petals of roses which are already missing a petal or two. This way you will mitigate the risk of destroying the next crop. 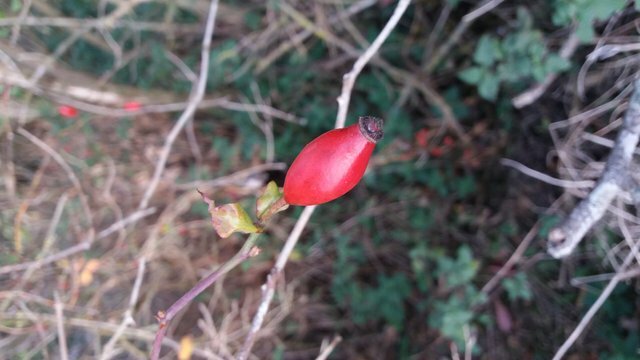 The Rose Hip is an easily identifiable fruit that appears around summer but should not be harvested until late September when the hips are slightly soft, but not completely squishy. This is when the rose hips are at their best. Make sure to beat the local wildlife to them, as deer and birds will happily eat them before you do! There are many other types of wild roses in the UK, including the invasive (but tasty!) Japanese Rose. Both crops of the Japanese rose are edible and are, in fact, quite delicious. The rose hips can be used in multiple different recipes. My favorite would certainly be the Rose Hip Syrup you can make quite easily from a small number of rose hips. They can, also, be eaten on the track as a wonderfully sweet snack. Care must be taken to remove the pips and the small hairs that surround them as they are quite irritating. In fact, these little hairs are so irritating that they are actually used to make itching powder! The fresh rose hips contain very high amounts of Vitamin C, but much of this is lost during drying or processing.